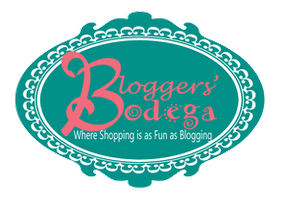 I just found Blogger's Bodega, a fun Tuesday shopping linky click on over to visit! 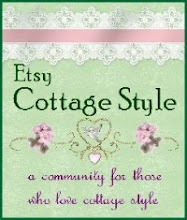 Tomorrow is Market Monday...a really fun way to see some wonderful etsy sellers! I will be participating again as I am finally starting to fill my shoppe. 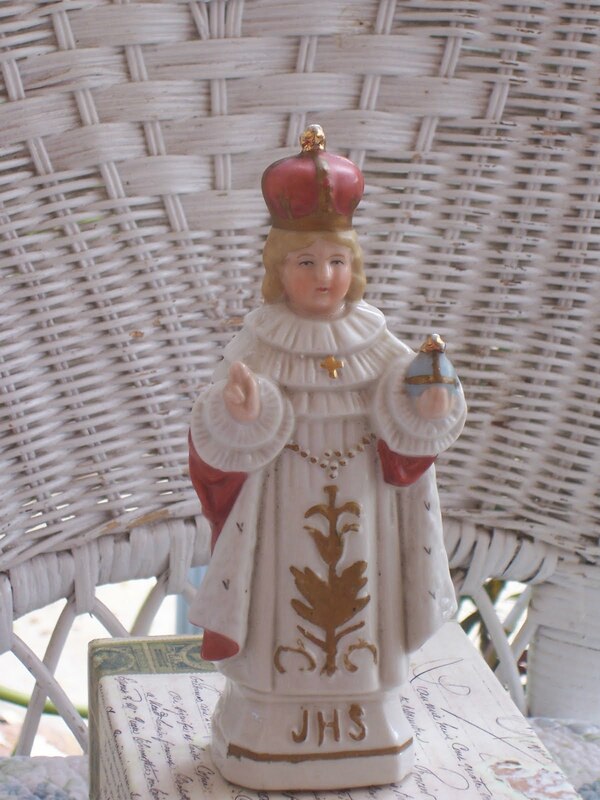 Yesterday we happened upon an estate sale with tons of stuff! 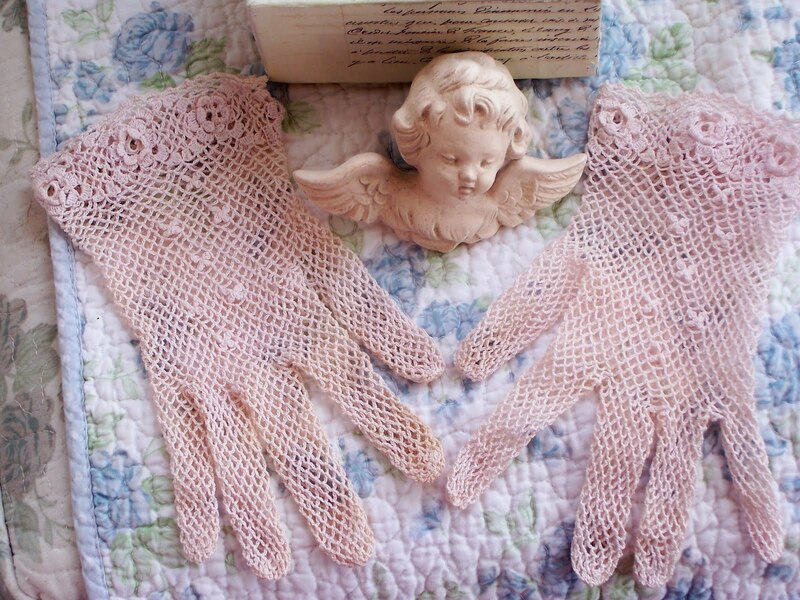 The items in the house were Antique store prices mostly but the things in the garage that they haven't had time to clean and sort were fair so I got some pretties for my shoppe. 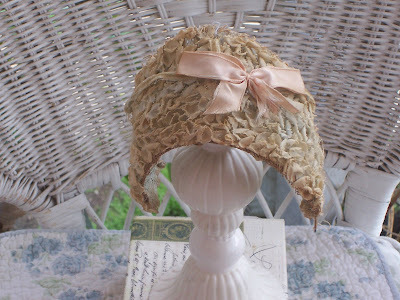 I found this darling bonnet buried in a chest full of dolls (not the kind I like...the scary kind!) 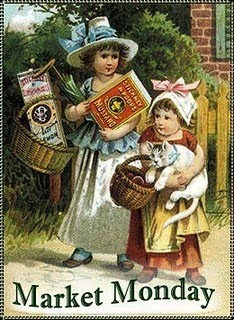 The woman who owned all these things lived in California her whole life and so did her mom. She was 99 when she passed away 2 years ago and this sweet bonnet was her mom's. 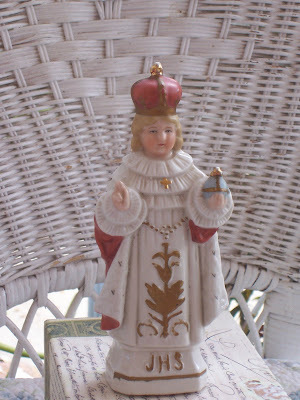 I love Mary and Infant of Prague items...when I saw this I was so excited! Unfortunately I need to start making my etsy work so in the shop it goes! These hand crocheted gloves are so precious! 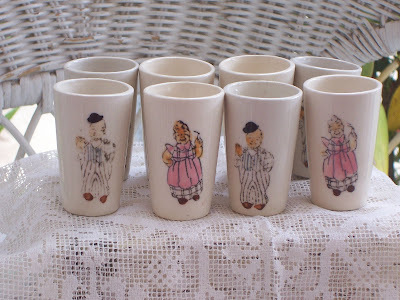 And these...... well they are too cute for words! I thought they were part of a child's play-dishes set but my friends tell me they are liquor glasses. I think they would make wonderful vases in front of everyone's place at the table!